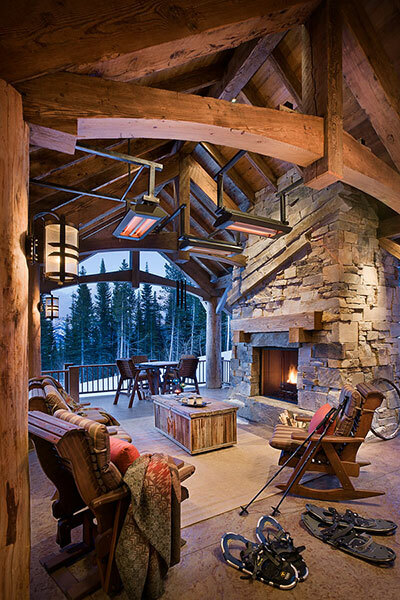 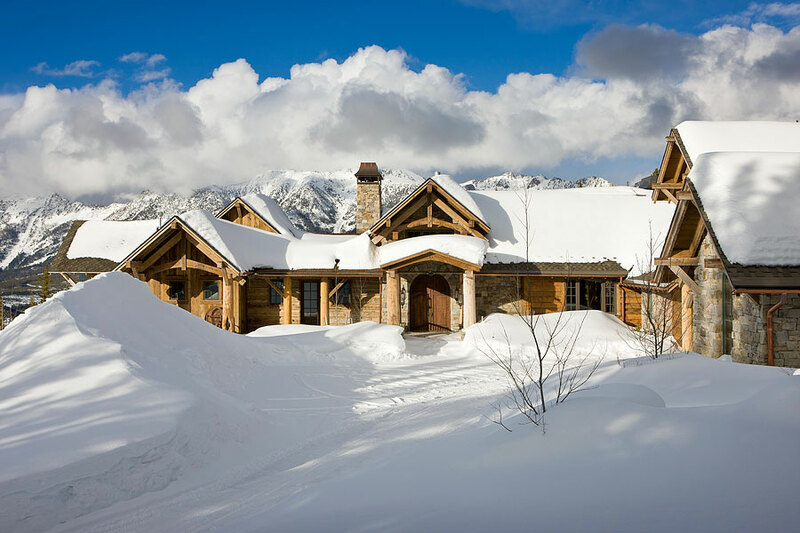 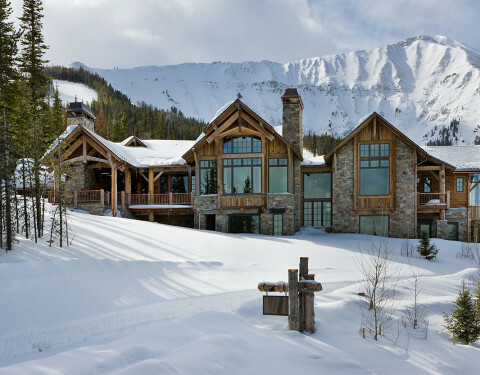 The Six Shooter Home features slope side amenities while drawing design inspiration from Montana History to deliver rustic elegance at it’s finest. 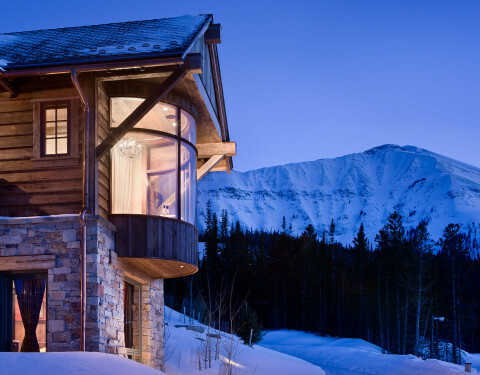 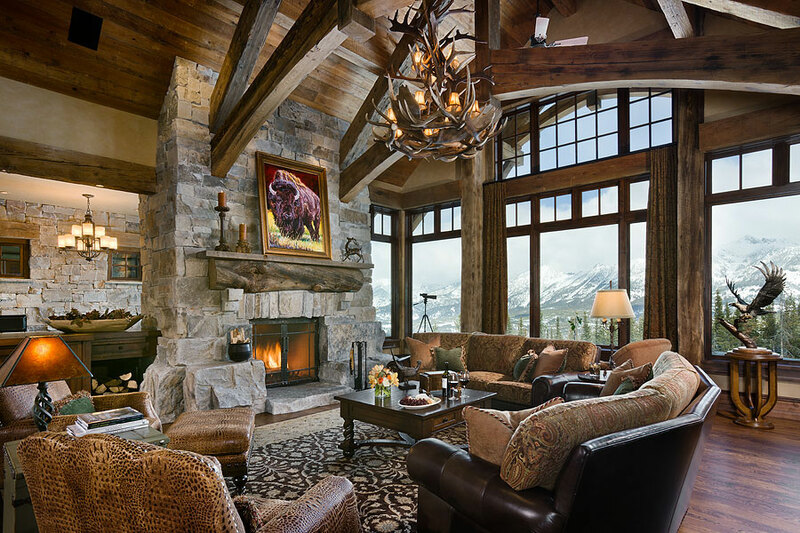 The design inspiration for the Six Shooter house was drawn from the owners extensive visits to Montana where they immersed themselves in the rich history of the region. 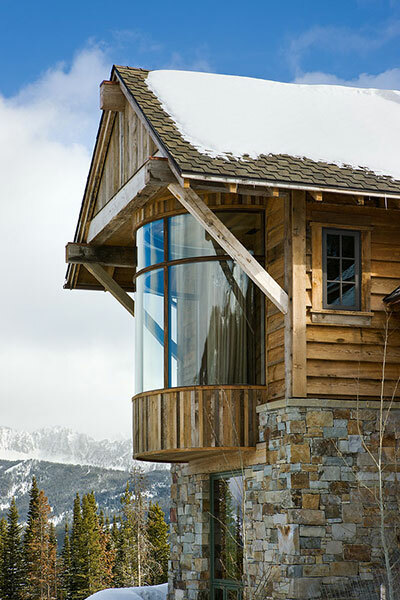 The exterior features massive timbers and locally quarried rock that frame huge wall of windows designed to take in the areas incredible viewshed. 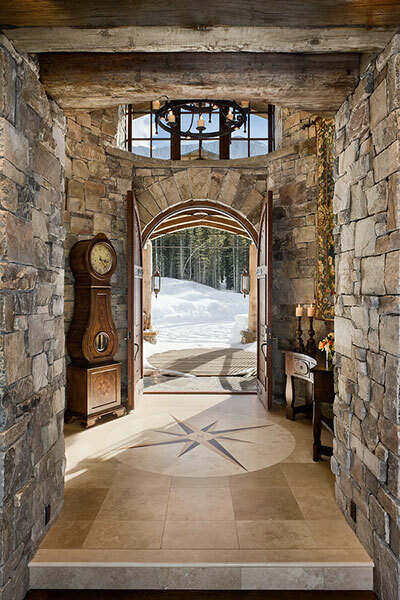 Stepping into the great room the massive natural stone fireplace serves as the focal point in the room accented by heavy wood timbers arching across the high ceilings. 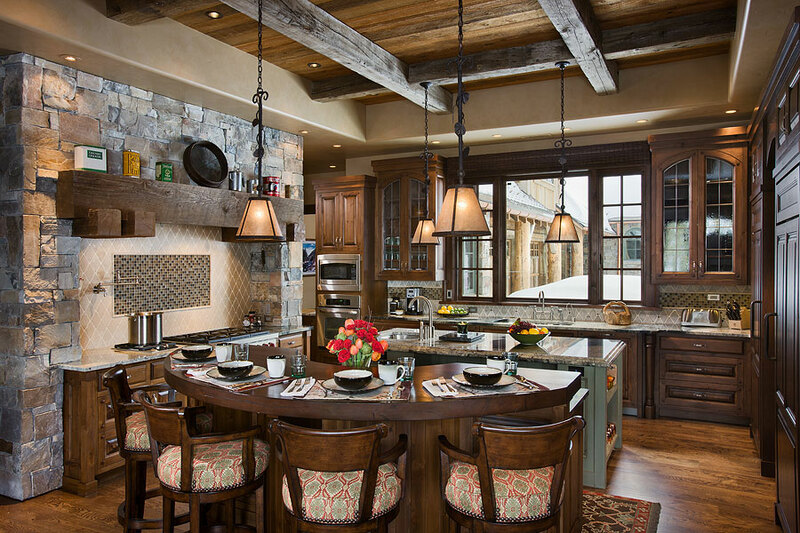 The decor of western art accompanied by large antler chandelier lend to a feeling of rustic elegance.Adjoining the great room the kitchen features dual islands designed with ample work space to accommodate the clients desires to frequently entertain large groups of people. 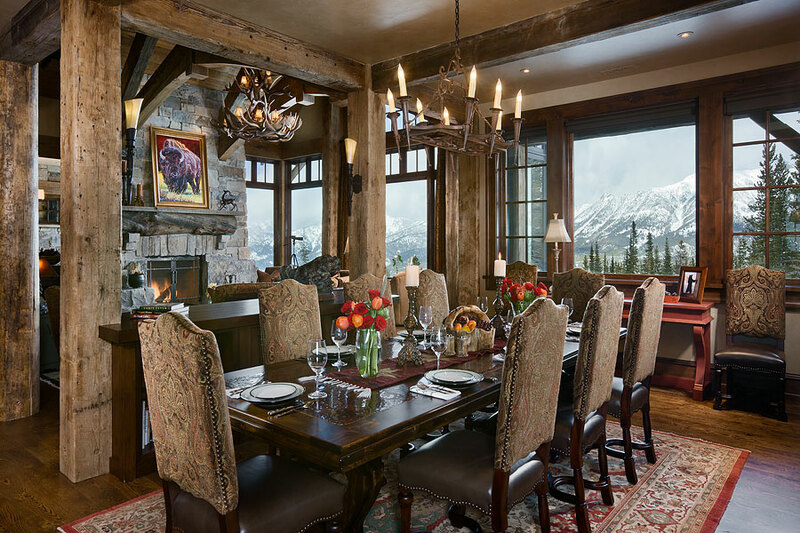 Across the kitchen sits the formal dining room open to the great room it features the same rustic refinement. 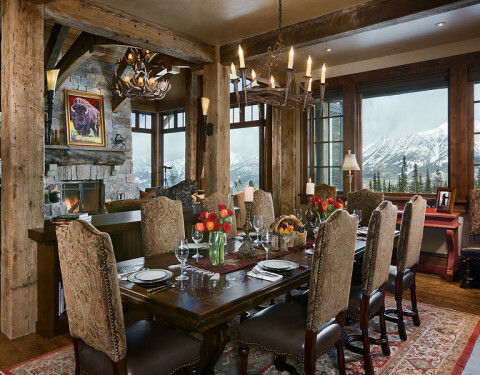 Copper inlays in the dining table and found throughout the house offer a tribute to Butte’s mining legacy. 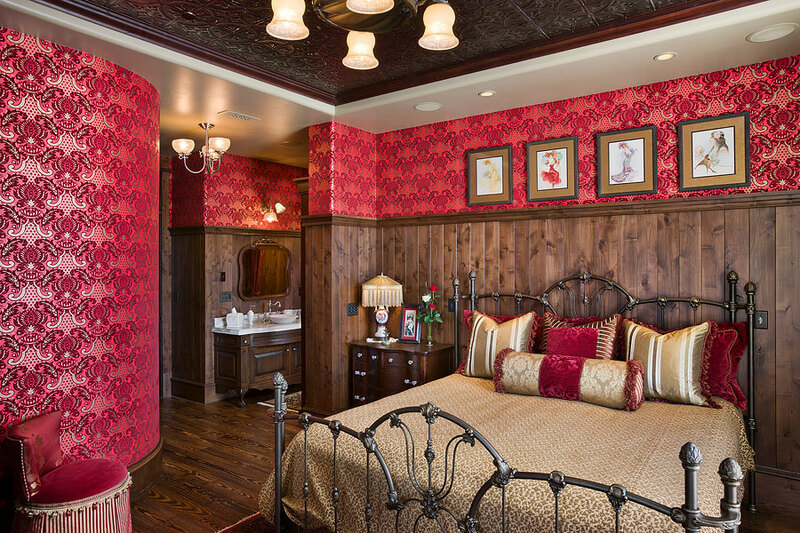 This tribute is seen again with a custom constructed daybed built to recreate an old Pullman sleeping car and tucked into a niche in the hallway. 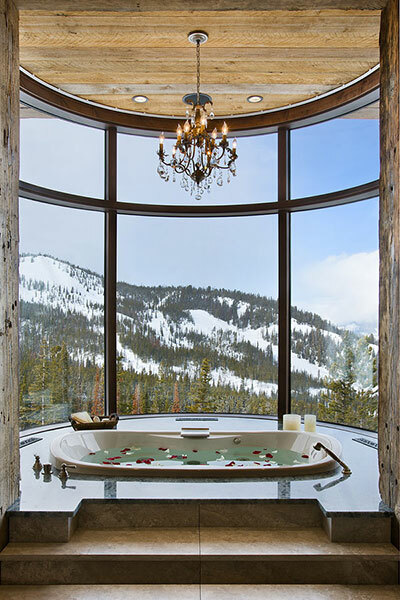 The regional focus is most apparent throughout the homes private living quarters where every guest suite has a private bath and each suite features a unique Montana- themed decor.